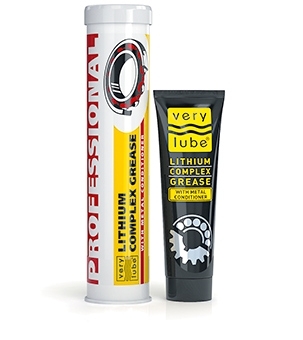 Universal lithium consistent grease with metal conditioner. It is used to lubricate and protect assemblies and joints operating under heavy thermal and mechanical loads. It is recommended for automotive assemblies and bearings as well as for industrial equipment. Due to the metal conditioner, the grease reduces signi¬ficantly friction losses; it protects the parts from wear. Provides reliable lubrication of assemblies and mechanisms under overloads and high temperatures for a long period of time. Significantly decreases friction losses and effectively protects parts from wear. It is used in assemblies with a single grease filling for the whole period of operation. It prevents formation of rust and corrosion. Owing to strong adhesion, it remains on the lubricated surfaces even with strong vibration and high rotation speeds. Possesses excellent moisture and dust protection properties. With pressurized application. Add the grease through the zerk until desired grease volume is reached. Manual application. Eliminate the previous grease and fill 1/2 of bearing volume (unit) with LITHIUM COMPLEX GREASE. Compatible with automotive and industrial lithium greases of all types, and can be mixed with them in any proportion. Efficient for assemblies with the rotation speed up to 10,000 rpm.